ZT Realty, a Brooklyn-based full-service real estate investment and management firm, launches new website as part of a strategic rebranding effort. We are excited about our new website launch and the information that it provides our customers, investors, and partners. ZT Realty, a Brooklyn-based full-service real estate investment and management firm, launched a new website as part of an ongoing strategic rebranding effort. In addition to the new website, the rebranding initiative includes a new corporate logo and a comprehensive social media presence. ZT Realty can now be seen on Instagram and Twitter engaging with current and prospective tenants and the local Brooklyn community. The new site features a refreshed and simplified look, enhanced content and improved search functionality. The site’ s responsive design allows visitors to interact with ZT Realty online from any device or browser. The website offers quick and easy access to essential information highlighting the Brooklyn market where ZT Realty owns and operates its portfolio of multifamily real estate properties. A convenient “Contact” form helps facilitate communication with the ZT Realty team on any management, tenant or development related inquiries. 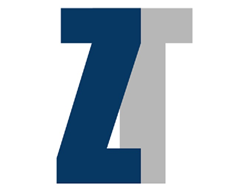 From a content standpoint, the new website features information and photos about ZTrealty owned and managed buildings and allows for prospective tenants and apartment residents to find the ZT Realty buildings that best suits their needs. ZT Realty is a full-service real estate investment and management firm specializing in the acquisition, repositioning and management of multifamily and mixed-use properties in New York City and surrounding areas.